The Alabama Jobs Enhancement Act was passed last year to provide clarity to an issue that could have crippled Alabama’s economic development efforts. The bill was necessary to provide clarity regarding a requirement for economic developers and site selectors to register as lobbyist to engage in the economic development process. 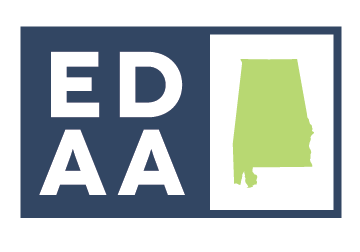 Thankfully, the bill was passed and signed into law allowing economic development professionals the opportunity to continue to grow Alabama’s economy. During the session last year, there was a concerted effort to mischaracterize the bill as having a negative impact on the ethics law. That assertion was patently untrue and regardless of how much hyperbole and misinformation was presented last year the Legislature passed the bill. The Jobs Enhancement Act has been in effect for a year and none of the dire predictions have come to pass. They haven’t come to pass simply because none of the assertions we heard in the last legislative session were based in fact. The act contained a sunset provision that ends the exemption of site selectors and economic development professionals. If that provision is not removed, Alabama’s economic development effort will again be mired in ambiguity and uncertainty. Site selectors will not consider Alabama as a location if they must violate their client’s confidentiality agreement in order to even consider an Alabama location. Confidentiality is critical in the economic development process. Companies and site selection professionals, involved in a search for a potential site or companies considering expanding an existing operation must be able to rely on economic developers to maintain that confidentiality until it is appropriate for the company’s identity to be revealed. Should the provisions of the act end as a result of sunset, economic developers and site selectors would be required to register as lobbyist and disclose the identity of their clients (principals). This requirement alone would make Alabama unattractive for not only new investment, but hamper expansion of Alabama’s existing companies as well. This law doesn’t impact the ethics law. The provisions, of the existing law, simply exempt site selectors and economic developers from the requirement to register as lobbyist. The economic developers that work to grow Alabama’s economy and the site selectors that represent their clients in the process are not lobbyist. The sunset provision must be removed to allow economic development professionals to compete for projects and insure Alabama’s continued economic success.